Asakusa is a popular touristic spot among foreign visitors for historical buildings. Not only during the daytime for sightseeing but also at night there are many Izakayas and restaurants to enjoy. It is one of Asakusa’s attractions where you can spend wonderful night watching shows while enjoying meals. In this issue we introduce a night show “That’s ZENtertainment” in Asakusa. Want to know more about Night Show in Asakusa? Check >> “Top 5 Selections of Night Show in Asakusa”. “That’s ZENtertainment” is a non verbal show which everyone enjoys regardless of age or nationality. It is a fusion of the Japanese traditional culture and the latest technology for dances, comedies, illusions and acrobats. It is a mixed entertainment which never existed before. For example they play a “Ninja” battle with projection mapping, tap dances wearing “Geta” (Japanese wooden sandals), a music performance with religious instruments of Buddhism, a shadow play with “Kanji” (Japanese characters), an interactive performance with the audience, etc. You can watch all of them in one show. Good deal for the price as well?! You would be thrilled with their performances. Asakusa being closely connected with things very Japanese, these shows are much appreciated by foreigners. Why not drop by while sightseeing, shopping and visiting temples? One performance lasts 30minutes and would cost you Yen1,999 with one drink. Not expensive, is it? 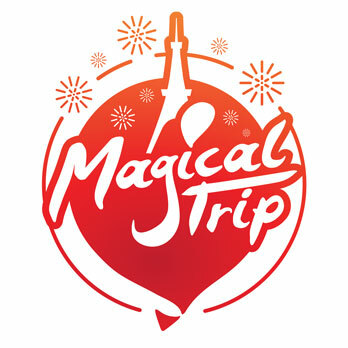 There are 6 performances a day so that it is convenient to visit while sightseeing or after meals. Before the show cute cartoon characters welcome you at the entrance or you can have casual conversations with the performers after the show. You can also play a virtual game called “Nin-shooting”. Isn’t it fun? Asakusa had already existed when Kyoto was the capital of Japan. After the capital moved to “Edo” (today’s Tokyo) around 1600, the town became even more prosperous as the center of commerce, culture and entertainment art. The River “Sumida” had an important role for its prosperity. The legend goes that a Buddha stature was picked up by the river and it is the origin of “Senso-ji” Temple, the landmark of “Asakusa”. It would be more interesting to walk around Asakusa exploring the history of Asakusa by visiting temples and shrines in the area. The Asakusa cuisines include not only “Edo Sushi” and a hot-pot of loach, but also buckwheat noodles for which “Azuma-bashi Yabu Soba” is popular. On the menu “Oroshi-soba” is most popular. It is buckwheat noodle with grated white radish. It is simple yet made by high quality buckwheat flour and with long experienced artisanal skill. Why not give it a try? If you would like to enjoy touristic Asakusa more, why not join a guided tour? The guide familiar with the locals will take you to photogenic spots and Izakayas. It is a bar-hopping tour visiting various Izakayas, good for “Sake” lovers. You might even come across interesting information about Asakusa as well.